Scientists at MIT, with a goal to create batteries that cram as much electrical energy into as light a package as possible have succeeded by exploiting the construction talents of tiny viruses to build ultra-small "nanowire" structures for use in very thin lithium-ion batteries. The team of scientists achieved this by coaxing the viruses to grow and self-assemble into a functional electronic device by manipulating a few genes. Batteries consist of two opposite electrodes namely, -- an anode and cathode -- separated by an electrolyte. In a traditional lithium-ion battery, lithium ions flow between a negatively charged anode, usually graphite, and the positively charged cathode, usually cobalt oxide or lithium iron phosphate. In the current work, the MIT team used an intricate assembly process to create the anode, by manipulating the genes in a laboratory strain of a common virus (bacteriophages), making them collect exotic materials -- cobalt oxide and gold. And because these viruses are negatively charged, they can be layered between oppositely charged polymers to form thin, flexible sheets, resulting in a dense, virus-loaded film that serves as an anode. The new virus-produced batteries have the same energy capacity and power performance as state-of the-art rechargeable batteries being considered to power plug-in hybrid cars, and they could also be used to power a range of electronic devices. The greener aspect of this technology is that these new batteries could be manufactured with a cheap and environmentally benign process and the process takes place at and below room temperature and requires no harmful organic solvents,. 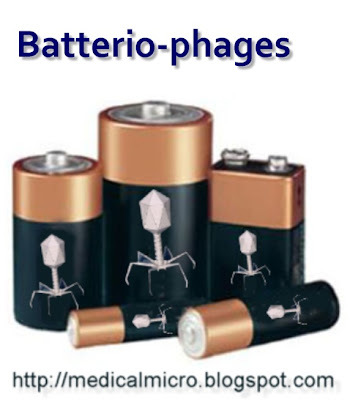 The viruses are common bacteriophages that infect bacteria and harmless to humans and the materials that go into the battery are non-toxic.